Readers are treated to a visual feast in this book with retro-style illustrations and a very clever twist. Foxly’s tummy is rumbling. He sets off on a mission to gather some ingredients for a delicious picnic. He collects some produce from the farmyard, the duck pond, the rabbit hole and the sheep pen. Readers watch as he slips around the farmyard animals, and when he calls to the little owl that it’s time to eat we think he’s about to devour him too, but his bags are not packed with animals at all. You’ll have to read the book to find out just how fantastic Foxly’s feast is. A caterpillar prepares for a transformation. He travels through the days of the week, eating healthily at first then indulging in some treats before acquiring a tummy ache. He finds a leaf to eat before wrapping himself in a cocoon and waiting two weeks before appearing as a beautiful butterfly. If you love The Very Hungry Caterpillar, you might be interested in the picnic we had with him. In FOOD FRIENDS, Cake’s surprise party brings in Bacon and Eggs, Cookies and Milk, Peanut Butter and Jelly, and other famous couples. 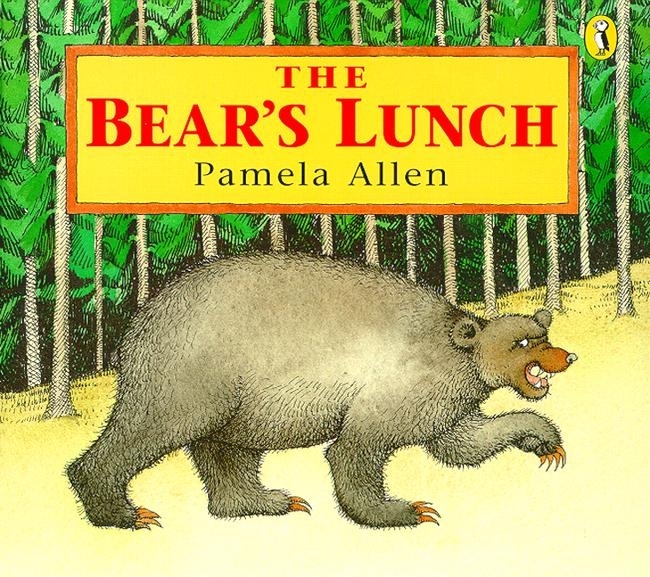 When Wendy and Oliver decide to have a picnic in the woods, they are surprised by a great big growly bear! But wait and see what happens when Oliver and Wendy growl back! A family picnic with some fairytale surprises! It’s Teddy Bear’s birthday, and all the other bears are organizing a surprise picnic! Teddy Bear’s favorite friends are invited, including every boy and girl who opens this book! A sweet, interactive story where children find the knife and fork to complete the place settings, butter the bread for the sandwiches, frost the cake, bake the cookies and wrap the presents. A favourite childhood song is brought to life with beautiful illustrations of country landscapes and lovable teddies of all shapes and sizes. It was a perfect day for a picnic. Hen picked the berries, Goose picked the apples, and Duck picked the pears. Then they set out for the picnic. Each day of the week five piglets set out to eat as much food as they can. By Sunday four of the pigs are round and fat and very, very full. But what about the fifth little pig? This stylish and funny book takes the reader on a tasty journey to find out, from farms, orchards and factories and all across the world.